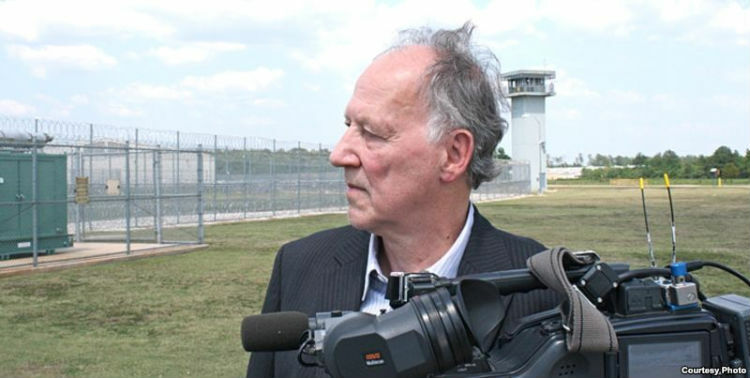 ‘Into the Abyss.’ Werner Herzog contemplates the death penalty in conversations with an inmate on death row in Texas, and those affected by his crime. (Landmark Magnolia, Angelika Plano.) Not previewed. ‘Bellflower.’ Powerful drama that goes off the rails yet remains a provocative, independent vision. (Texas Theatre.) My review. Recommended. ‘Clash of the Titans.’ With sword-and-sandals epic ‘Immortals’ hitting theaters this weekend, the Texas Theatre wisely showcases a 35mm print of the charming 1981 fantasy flick. (Texas Theatre.) Recommended. ‘Immortals.’ The gods take an interest in the battles of mortal men; Henry Cavill is the hero and Mickey Rourke is the villain; with Frieda Pinto. Directed with style and energy by Tarsem. My review at Twitch. Recommended. ‘Jack and Jill.’ In this alleged comedy, Adam Sandler plays both himself and his twin sister. With Al Pacino (?!) and Katie Holmes. My review at Twitch. Not recommended. ‘J. Edgar.’ Leonardo DiCaprio stars as the secretive longtime director of the FBI. With Armie Hammer and Naomi Watts; directed by Clint Eastwood. My review at Twitch. Recommended with reservations.